You must make reservations at least 5 minutes in advance of the time at Ristorante Rumari. Dinner: Monday - Thursday, 5:00pm - 9:30pm; Friday - Saturday, 5:00pm - 10:30pm. Local catering available for pickup or delivery. Please call for details. Semi-private areas or restaurant buyout options available. Please call for details. Ristorante Rumari (Italian for "Restaurant of the Sea") is one of the most popular restaurants in Laguna Beach. It is popular for three primary reasons. First because of its fine Italian soul food. Second because of its location, away from the traffic and congestion of downtown Laguna. This makes it especially popular with the local residents of Laguna as well as those who have been referred by a friend, business associate or concierge at one of Laguna's many boutique hotels. There is abundant street parking as well as a small free lot behind the restaurant. 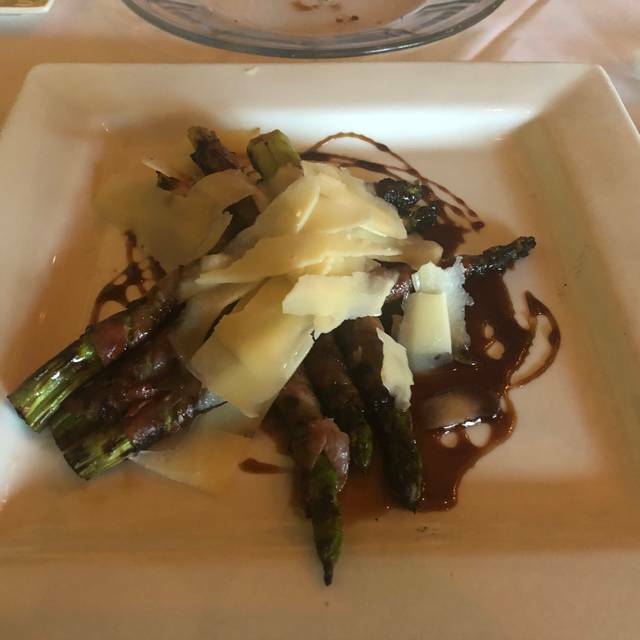 (If you have ever tried to find a parking space in downtown Laguna you will appreciate Rumaris' location) The third reason this restaurant is so popular, and some say the most important reason is the Crivello Family, Vincenzo and Massimo and their mother Bina and father Antonio. Rumari is truly a "Family Affair" and has been for more than 24 years! Excellent food and service. Had a memorable evening with my love. Definitely a throw-back to old style Italian restaurants. Serving staff are well dressed but a bit talkative with the bartender, when there are few clients. We ordered calamari for an appetizer, since that is our favorite. It was cooked perfectly...light and flavorful. My wife had the sea bass which was exceptional. I had a dish I could not pronounce, but looked like giant ravioli stuffed with spinach with a vodka type sauce. Very good. They give you about a dozen little pieces of bread right out of the oven. The bread was perfect to sop up the sauce. Good desert menu, but I just wanted spumoni ice cream, but they only had spumoni cake. We had an amazing night/ dinner at Rumari! The food was amazing the waiter was amazing the service was amazing. Couldn’t have asked for a better night! Thank You Rumari we will be back to see you soon. Joaquin was an absolute fantastic waiter and the food here is some of the best Italian I’ve ever had. We were in Laguna celebrating my dads 70th Birthday and this dining experience was the cherry on top of a great weekend. Not only was the food AMAZING but so was the service. My daughter and I were starting in Laguna overnight and enjoyed our meal. The service was amazing and we had a vet nice view of the ocean from the table. I had some of the best lobster ravioli and my daughter had a special plate of shrimp. Their bread is amazing and we left very full! I would definitely return for another meal. Veal was tender....sauce perfect. Lobster raviolis in saffron sauce....delish! Just wish there were more on the plate. This is an amazing restaurant, we love it here. amazing food, great wait staff and hostess. Can't go wrong here. This was our first time at Ristorante Rumari. We were delighted from the moment we entered until we left. The food was exceptional as well as the service. We will definitely be back. Old-school Italian restaurant, Martine is a delightful server, everyone working there is happy. The cuisine is amazing, everything was top-notch, best lasagna I have ever been served. Our server (Fiorna? from Argentina) was outstanding. Very friendly and on top of things. The carbonara is out-of-this-world delicious. Wonderful food! Would go back in a heartbeat! We haven’t been here in a while. But, it’s always good. 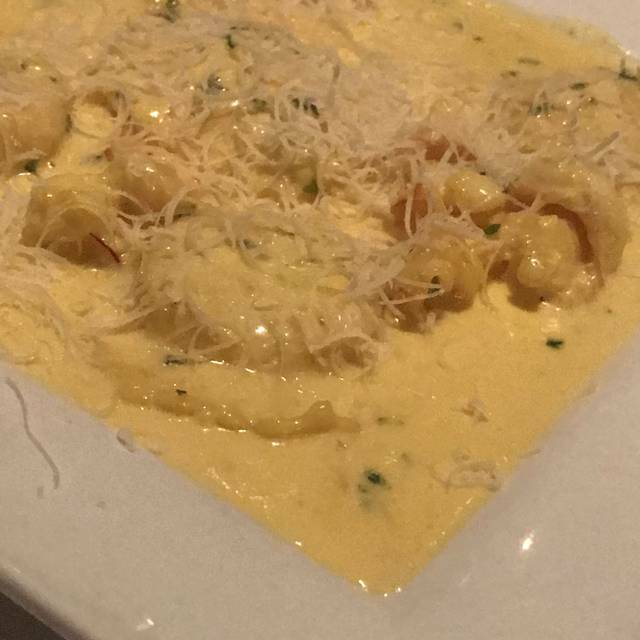 The gnocchi is simply amazing. I’m not thrilled with their regular gnocchi dish. But, their ‘gnocchi special’ was great. The staff & service are excellent. The ambiance is that of a ‘local, family-run Italian restaurant’ - a nice change from the ‘over-the-top restaurants’ in Laguna Beach. The wine selection is adequate (better bottles than wines by the glass). 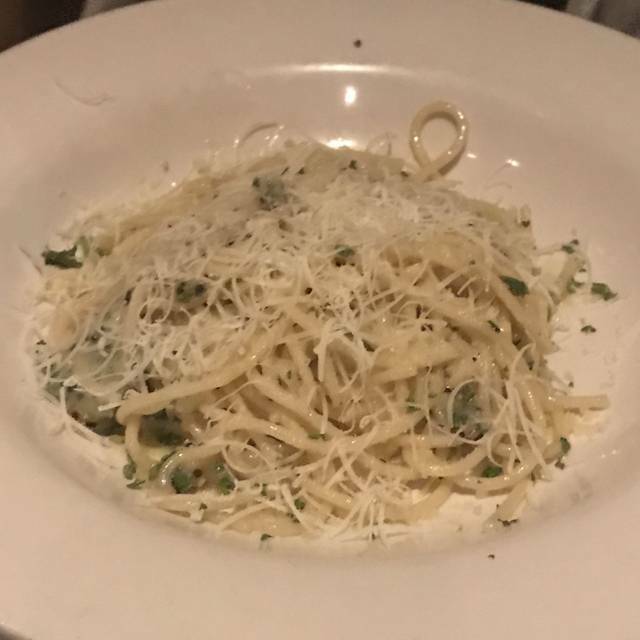 This place is a great choice for a local Italian place. Very nice atmosphere with a friendly wait staff that was attentive. The bar was full and we were seated about 8 feet from it so yes it was loud but to be expected. Food was very good! And our waitress saw it was mu husbands birthday we were celebrating so she brought two scoops of delicious ice cream! Great atmosphere, service and amazing food. Highly recommended. I have been coming here for 10 years +. They never disappoint. Great atmosphere in Laguna Beach. I can’t have the meals they offer anywhere else. Does not compare. Well, we go to this restaurant all the time. This time, per usual, I ordered my chicken parmigiana without cheese. So, it came with the cheese on(I am allergic). So, of course I send it back. 2 minutes later, a new one is brought out to me. Completely under cooked almost raw. Naturally, I send it back. So, finally I get the same one back cooked. Bill time came. There was no offer to deduct the dish or anything accommodation at all. They just lost a regular customer. We would go their at least twice a month. Food was awesome and our server was great! Great food and great place. Been going for years. I used to live across the street. Valentine’s Day was tough tho for them when it came to scheduling. Their staff was awesome but it took 45+ minutes AFTER our dinner reservation to be seated. Many factors could have been involved for the delays (weather, patrons extending their stay...). We had fast service at the table but the wait dampened the evening mood. Luckily we didn’t have later plans but it could have made things difficult for other couples that may have. The food and service are superb. 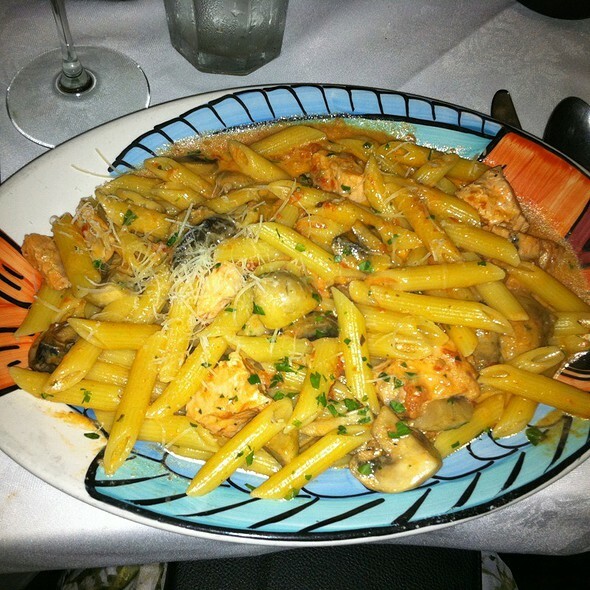 Best Italian food in Orange County. I really like to come here because it's small and quiet. The food is outstanding too. I had the pounded and lightly breaded swordfish which was served with vegetables and potatoes . All the house wines by the glass are $10 and a nice size pour. Several choices. There are also premium wines by the glass. My husband and I like to bring guests here because it's easy to hold a conversation which is hard to do at most Laguna restaurants. Highly recommend. Great service, great food, smokin hot date! Winning! Food and service are splendid. I try to go once a week. Just excellent. Food was good, love the waiter, probably didnt have enough coverage for the crowd, but enjoyable. Reservations made weeks in advance for 7 pm and arrived on time. We were informed that it would be at least 20 minute wait and could sit and eat at the bar. As always a wonderful experience! Rumari was great! Food made from scratch and large portions. Excellent service. Noisy but not unbearable. We'll be back!